READING, Pa. (WPVI) -- A man apprehended on a boardwalk at the New Jersey shore has been returned to Pennsylvania to face charges of having beaten his dad to death with a baseball bat on Father's Day. 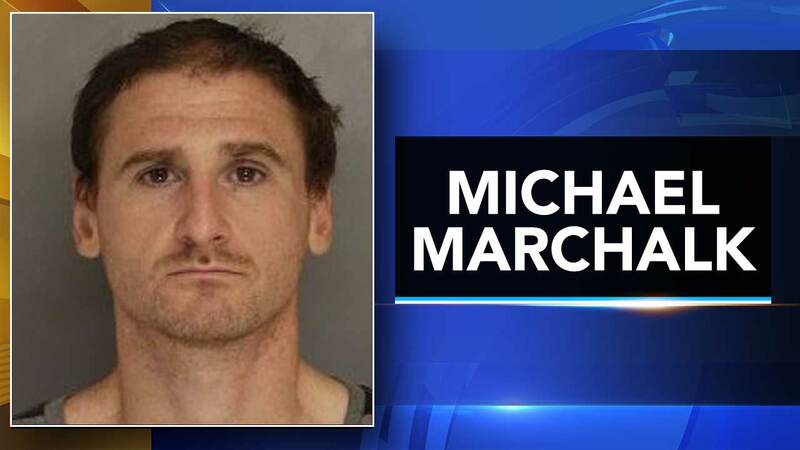 Thirty-seven-year-old Michael Marchalk is charged in Schuylkill County in the June 18 murder of 60-year-old Gary Marchalk in the older man's Barnesville home. Authorities said the suspect had been staying with his father for a few days and was supposed to enter a drug treatment program the following day. They said surveillance cameras placed him in the home at the time when the slaying is believed to have occurred. Marchalk was arrested June 23 in Atlantic City, returned to Pennsylvania and arraigned Friday on charges including first-, second- and third-degree murder, aggravated assault, robbery, and theft.